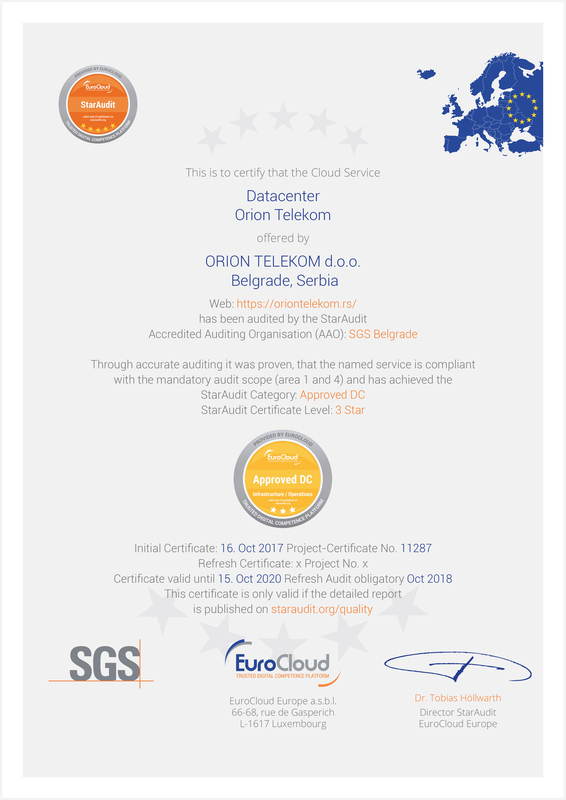 This is to certify that the Datacenter Orion Telekom, offered by Orion Telekom d.o.o. 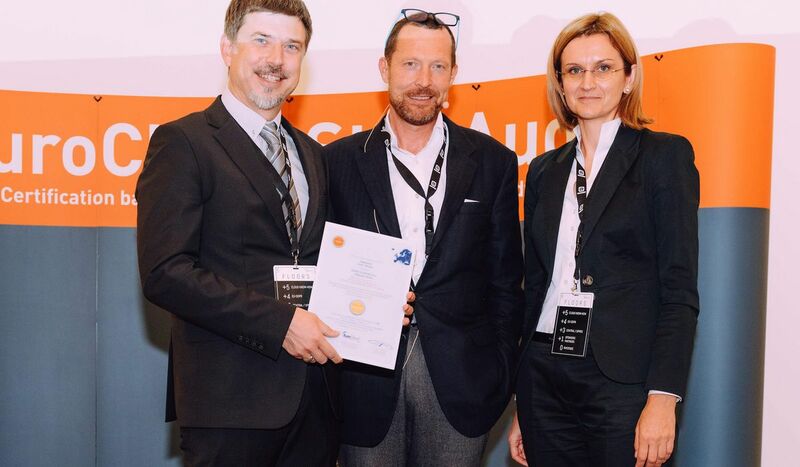 (Belgrade, Serbia), has been audited by the StarAudit Accredited Auditing Organisation (AAO) SGS. Through accurate auditing it was proven, that the named service is compliant with the mandatory audit scope (area 1 and 4) and has achieved the StarAudit Category: Approved DC and the StarAudit Certificate Level: 3 Star. Trusted and Audited Cloud Services. European Quality Scheme for Global Usage. More than 500 accredited professionals worldwide. Checklists for provider transparency and tender support. Assessment Tools for Quality Checks, Gap-Analysis and Audit purposes.